The story is set in Hobart, the capital of Tasmania, the most southern state in Australia. A most beautiful place. I went there a few years back and imagined how it would be to live in this city, how to adapt as a "non-local", and bit by bit I wrote the story of two sisters moving there. Obviously, I added a little romance into the story as well – so I added Mark and Zach. This is the second edition of NEW BEGINNINGS. The story is now a bit sexier and has also received another edit. Literary Chanteuse's review: "This author has a way of endearing her characters and it is easy to fall in love with them. An intriguing story with emotion, love and hope." 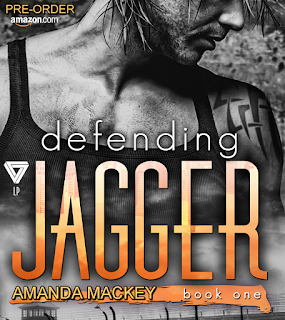 Sharon's review:"This was a very enjoyable read and it left me wanting just a little bit more. I highly recommend it." 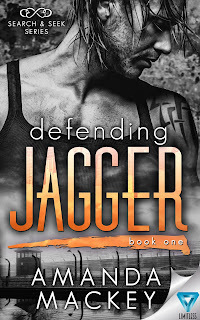 My new gritty contemporary romance, Defending Jagger is now up for Pre-Order!https://www.amazon.com/Defending-Jagger-Search-Seek-Book-ebook/dp/B01IDZJLCG Hot new writing teacher and prison inmate fall for each other! #LifeBooksWriting - Author blog challenge Hello everyone! Welcome to another week and another blog challenge. This week is Things I collect. Apart from books, I also collect stamps and coins. I've been collecting stamps since I was a child. My mother is a collector too and got me started by giving me my first bundle. 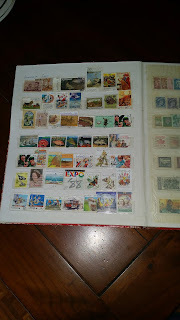 I have 4 albums of stamps from all over the world. Many I have been given and others I have had to purchase. I still collect some from letters I receive with stamps, although not so much now in this digital age. I also collect coins, which began after my trip from Australia to the US when I was 18. From there I have collected more and more. The oldest coin I have is from the 1920's. The image below is just some of my collection. Finally my books. Well what can I say?The photo is also just a small collectiion of my books! I have so many I don't know what to do with. Not to mention my kindle and kobo! My Dream Writing Space #LifeBooksWriting Today's challenge #LifeBooksWriting is My Dream Writing Space. At present my dream writing space would be a room with a desk! I currently writing on the spare bed on my laptop while lying semi-horizontal, propped up on pillows! 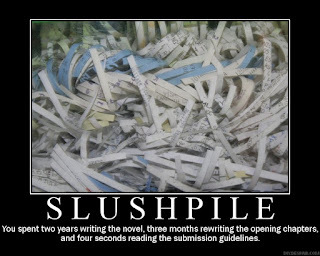 Yep, quite a few of my novels have been constructed this way. However...it's not the ideal writing conditions so, my dream writing space would be...... A room with a view appeals to me. The space doesn't have to be huge, just efficient. Shelves on both walls for all my books and dictionaries. A comfortable chair and adequate desk space. A room that is totally dedicated to my writing. A sanctuary!